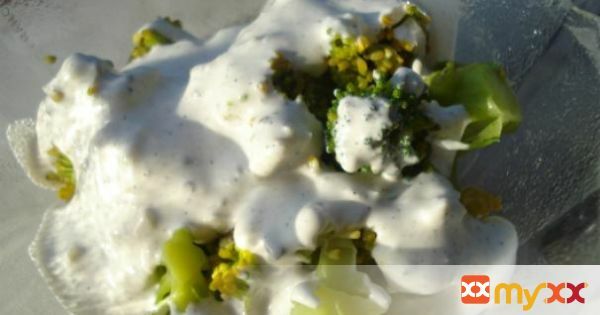 Crisp broccolli florets with savory blue cheese dressing: ideal for all Atkins dieters. 1. Cook broccoli until tender-crisp, 4 - 5 minutes. Drain and rinse under cold water; OR cook in MWC for 20 minutes. Divide into florets. 2. Combine sour cream, yoghurt, cheese, lemon juice, pepper, mustard and mayonnaise in a medium bowl, mashing with a fork to break up the cheese. 3. Use right away or refrigerate in an airtight container for up to 3 days.